Holidaying is a global phenomenon. Everyone, everywhere seems to be enthralled by the idea of spending a vacation to some distant land. It’s more like a huge sigh of relief from the boredom of daily life. However, there’s one industry which is working hard to keep the magic of holidaying alive. Yes, the travel industry is reaching out to those globetrotters to plan and customise holiday as per their wish. Well, the craze is still on. But, people now look for independent tour operators and agents more than hotels and flights online on mainstream sites. So, don’t you think ‘Travel SEO’ is a very important weapon for its success? Of course, yes! Given the rise of a storming Internet of things, and growing interest amongst people to book tickets online, this sure is an effective concept. This makes it inevitable for the owners of travel websites to make their platform stand out from the crowd. The trick is to remain visible to the target audience by improving the online rank of such platforms via search engine optimisation. 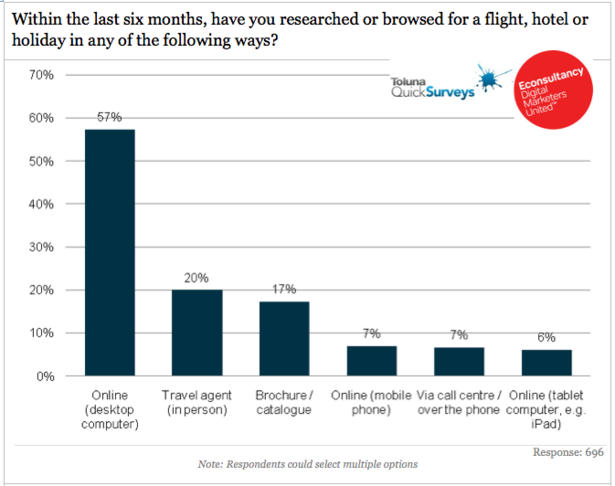 So, why is optimisation so important for travel website? This goes to show how a travel website not only has to maintain a strong presence online, but also remain active on the social media. Following this trend, online channels, thus, are the best way to satiate a traveller’s need. And this is exactly why analytics matter! The travel industry has very distinct niches. ‘Trekking in the Himalayas’ can be one, and a ‘visit to the Kedarnath Temple’ can be another. Similarly, ‘snorkeling in the Andaman Islands’ can be one, and ‘river rafting in River Teesta’ can be another. Yet again, ‘paragliding in Manali’ can be one, and ‘visiting the tea gardens of Darjeeling’ can be another. Travel websites are extensively making use of these niches as keywords, and revolving around the promotion of content relevant to them. Yes, this is a wonderful way of generating visitors, who are looking for these particular niches and nothing else. From April, 2015, Google has started favouring mobile-friendly sites (Remember Mobilegeddon?). Travel sites, too, should follow this with utmost care, because the Internet of things is really dominating search. Of course, quality links need to be obtained to accelerate the generation of traffic. Quantity should be secondary to avoid penalisation by search engines. Unique, informative content is what rules travel sites and engaged visitors, not ‘copy-paste’ materials. And, wouldn’t people just love some personal storytelling and first-hand experience rather than information taken from Wikipedia? Yes, content has proved to be king, yet again! The travel industry is expanding massively. And, it’s becoming a smart, online-oriented business entity. From research to booking, everything is happening over the World Wide Web. And, if you think ‘SEO,’ it’s a hell lot of possibilities for this industry! Keeping track of customers’ behaviour, understanding their needs, presenting them with search results for relevant keywords, welcoming them with a grand site, making navigation easy, participating with them on social media, and feeding them with engaging content are just the ways of boosting your site’s rank. No, there’s no ignoring search engine optimisation for travel websites.